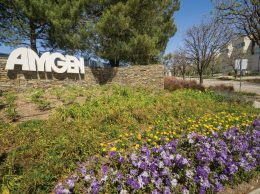 Thousand Oaks-based Amgen said Aug. 22 that the U.S. Food and Drug Administration will likely make a decision by April 26, 2012 on the biotech firm’s application to expand the use of its Xgeva bone treatment drug to treat advanced prostate cancer. Amgen, the largest biotech company in the world, said in a statement that Xgeva has been studied in more than 7,000 patients with cancer and that the drug demonstrated “a clinically meaningful improvement compared to the previous standard of care in preventing bone complications.” Bone is one of the most common places for cancer to spread, the firm said, and if approved for the new use, Xgeva would become the first treatment licensed to prevent or delay the spread of cancer to bone. Xgeva is also being investigated for the potential use to delay the onset of bone metastasis in adjuvant breast cancer, Amgen said. The company has submitted marketing applications for Xgeva in Australia, Mexico, Russia, Japan and Switzerland. In countries where the Thousand Oaks firm doesn’t have a commercial presence, it has partnered with GlaxoSmithKline to commercialize the drug. Xgeva was approved last November to prevent bone fractures in patients with cancer that has spread to the bone. 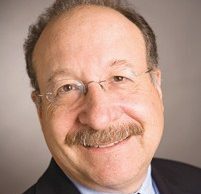 Oppenheimer & Co. analyst Bret Holley has said Xgeva could generate $880 million in sales by 2015 from the expanded use. Shares of Amgen, closed up 33 cents, or 0.66 percent, at $52.31 on Aug. 22.